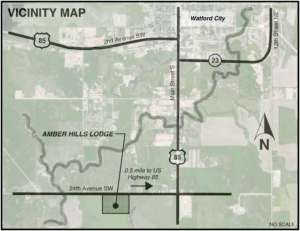 Amber Hills Lodge is a workforce housing camp located less than one mile south of Watford City, in the heart of McKenzie County – the most active oil drilling county in North Dakota. 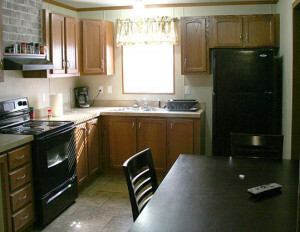 Each unit offers eight private bedrooms, four bathrooms, a kitchenette and living room. Click here to view the floor plan. Amber Hills Lodge offers a private, quiet atmosphere with quality amenities you need for a comfortable stay.